Writing a slightly popular blog has its benefits. Maybe I shouldn’t boast that Distilled History is popular, but my Rolodex has certainly bulked up in the past several months. 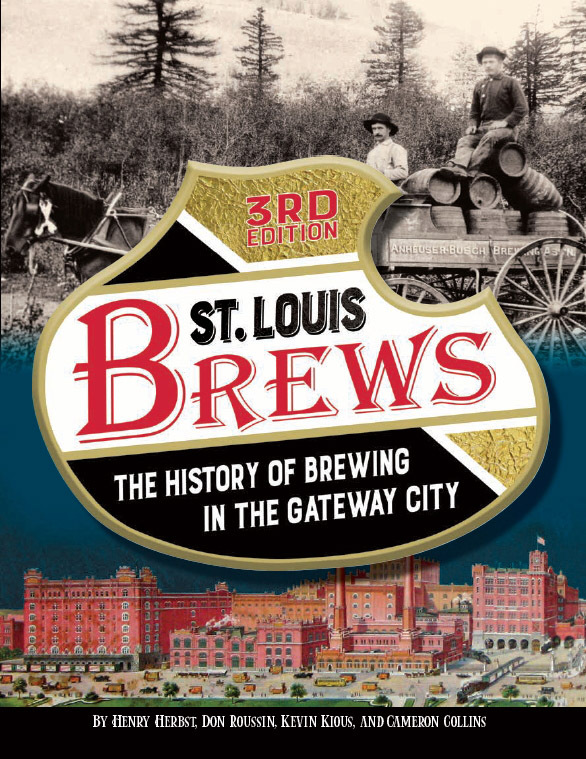 I’ve met new friends involved in the St. Louis history scene, and others who are into drinking. Many are into history and drinking, and that means life is good. One of them is a clever and entertaining woman named Ginger Justus. She’s the author of a terrific blog named Missouri History & Hauntings. Like me, she’s deeply interested in the history of the St. Louis area. The difference is while I add drunkenness to my history, Ginger adds ghosts. Fans of what each of us are doing, we started emailing each other and talking about working together in some context. We’ll do that eventually, but in the meantime, Ginger asked me if I’d like to be a special guest on a haunted tour of Alton, Illinois. I’m not a believer in the paranormal, but I do know that ghost stories always come with good history. With Halloween right around the corner, it seemed like a fun event in which to take part. At the very least, maybe someone else would see a ghost, freak out, and make a run for it. Hearing someone yell “We got a runner!” would make for great reading. The walking tour Ginger invited me to join is the Alton Hauntings Ghost Tour, created by a ghost guru named Troy Taylor. Founder of the American Ghost Society, Mr. Taylor has authored more than fifty books about ghosts and haunted things, including Haunted Alton, a book I read just last year. Mr. Taylor wasn’t around that evening, so my tour was in the hands of an equally knowledgeable man named Len Adams. Mr. Adams is the Vice President of the American Ghost Society, a good friend of Troy Taylor’s, and someone who really knows how to tell a good story. Before leading us into the eerie Alton night, Mr. Adams made it a point to explain that “psychics, Ouija boards, and crystal balls” are not a part of this tour. I was interested to hear him explain that he (and many others who share his interest in the field) believes many hauntings are simply lingering energy imprints left after a traumatic event. A term even exists for this type of occurrence. A “residual haunt” describes things like the inexplicable sound of footsteps in the hall, a door slamming, or a sudden drop in temperature. It could even be the reason why kitty suddenly bolts into another room. On the other hand, an “intelligent haunt” is the major league of haunts. This is the kind of haunt when you have a tangible and conscious spirit living in your bedroom closet. Intelligent haunts can move things around your house and even join you for a cocktail. According to Len and Ginger, if you encounter one, you could hear, record, and even photograph it. When I started telling people what I was writing about for this post, I was surprised to find out that many of my close friends are steadfast believers. A few even insisted they had experienced encounters of their own. I may be a non-believer, but maybe this explains why I found my car keys in the freezer last week. The tour lasted a full three hours that night. As it progressed, Mr. Adams wound us around the dark corners of Alton, offering unnerving tales and enlightening history at every turn. Even if ghosts aren’t your thing, you’ll get a fascinating history of the town and the people who lived there. Len Adams is a ghost expert, but the man knows his Alton history from top to bottom. He accurately recalled topics I have previously written about in this blog, including the stories of Elijah P. Lovejoy and Sunflower Island. Other topics I was less familiar with, such as the disturbing tale of Hop Hollow Road. This path, a former road between a Civil War prison and the Alton Cemetery, is where Union prison guards unceremoniously dumped the bodies of Confederate soldiers in the woods. Displeased with their improper mode of burial, many claim the ghosts of these men now wander the woods around Hop Hollow Road. A special aspect of this tour is that it will take you inside a few of the stops. Even if you are the most stoic of non-believers, try sitting inside a darkened church and hearing the story of a priest found hanging from the ceiling above you. Other creepy locations include tales of a ghost that smells of lavender and a night watchman who disappeared without a trace. You’ll also hear the story of Tom Boothby, a one-eyed Indian fighter whose demise became the first ghost story of record in Alton. I enjoyed the entire tour, but it was the first stop that really hooked me. Sitting at the corner of East 3rd and George Streets in Alton is the Enos Sanatorium. Originally known as the Nathaniel Hanson Mansion, the original structure dates to 1857. Nathaniel Hanson was an ardent abolitionist. With Alton situated across the river from slaveholding Missouri, the town was an active stop on the Underground Railroad in the years prior to the Civil War. Hanson built his home precisely to accommodate that cause. Built on a high bluff that overlooks the Mississippi River, the cupola atop it was visible from afar. Nighttime lanterns inside the cupola reportedly alerted slave runners across the river if the coast was clear or if threats prevented crossing. Additionally, Hanson had tunnels carved into the limestone beneath the house, allowing fleeing slaves a safe place to hide when arriving in Illinois. There are no records of how many slaves hid in the tunnels beneath the mansion, but it is a documented and verified stop on the Underground Railroad. In 1911, Dr. W.H. Enos purchased the mansion and converted the building into a tuberculosis sanatorium. Soon after, a fourth floor was added and an adjoining nurses home constructed, making the building look as it does today. Tuberculosis was an incurable disease at the time, and scores of suffering patients died in the mansion during the next several years. Today, many believe a few of these unfortunate souls continue to roam the halls and make themselves at home. Today, the house is an attractively restored apartment building. According to Troy Taylor and Len Adams, many apartment residents have reported strange odors, sounds of footsteps, flushing toilets, and even sounds of people screaming. Many others residents have decided to find a new apartment elsewhere for the same reasons. On a dark and windy night, the home definitely has a mysterious feel to it. The highlight of this stop (at least for me), is when Mr. Adams informed us we’d be heading into the tunnels. This is when my heart skipped a beat and “Haunted Alton” became a priceless experience for me. The Underground Railroad happened, but very few physical examples of it still exist today. Getting to step inside a physical Underground Railroad location is a big deal for me. It is something I’ve never been able to do. When I did, I stood quietly and thought about people long ago who hid from evil in the exact same space. That’s a profound moment for a history nerd like me. Of course, the real reason to get us down there was for Mr. Adams to scare the hell out of us. He did an admirable job, and the stories he tells are another reason to take this tour. He also informed us that if someone freaks and starts running, a dark tunnel fifteen feet underground is the worst place for it to happen. As much as I hoped I’d see someone lose it, I agreed this wasn’t the best place to see it. If there’s a “most haunted” stop, many claim it’s the First Unitarian Church, the final stop on the tour. It’s where the story of the hanging priest I mentioned earlier comes into play. It’s the highlight of the tour, so I won’t give anything else away. Instead, I’ll just say that I’m grateful for Ginger and Len allowing me to tag along that night. I had fun while hearing a few peculiar stories and good history. Anytime that happens, I’m good to go. For more information about Alton Hauntings Tours, or to make reservations, click here. Tours fill up quickly during the Halloween season, so plan ahead. Finally, before I move on to the delicious drink I selected for this post, I want to be clear that my intention here is in no way an attempt to demean any believers in ghosts and spirits. While I don’t personally believe in the paranormal, I completely respect the beliefs of anyone who does, like my new friends Len and Ginger. They have an interest in a subject they hold dear, and that’s good enough for me. However, if you tell me that you should shake a Manhattan and serve it on the rocks, then you need to get your head examined. If ghosts and spirits are being revived within the walls of Enos Sanatorium, then why not a corpse? This is one of those Distilled History posts where I knew the drink well before putting a single word to paper. The Corpse Reviver (No. 2), a prohibition-era cocktail created by a man named Harry Craddock, is also one of my favorites. Craddock was an American who (wisely) fled to England when Prohibition kicked in. As a barman at the Savoy Hotel in London, he became famous for inventing notable cocktails (like this one), popularizing the dry martini, and publishing The Savoy Cocktail Book in 1930. I’m familiar with such experiences, so along with containing my beloved gin, this is a perfect drink for me. While Craddock recommends drinking the cocktail before 11:00am, I’ve had hangovers last much longer into the day. I mixed mine at 7:00 pm, and I can say it with certainty it worked very well at what it had to do. The name suggests a “Corpse Reviver (No. 1)” also exists, and that is correct. Craddock also created that recipe to cure hangovers, but it’s a completely different drink. I also don’t find it nearly as satisfying as the Corpse Reviver (No. 2). I’ve always thought this cocktail can taste radically different based on the quality of the ingredients used. I won’t make it at home unless quality gin is at hand (Broker’s is my personal preference), and low-end triple sec can’t substitute the extra kick provided by Cointreau. Don’t wait for a brunch with a pounding hangover to try a Corpse Reviver #2. While it is a great alternative to the ubiquitous Bloody Mary, it’s suitable for any time of the day (or evening). A well-made version is that good. Finally, if you don’t want to make one on your own (the ingredients are not cheap), Demun Oyster Bar in Clayton makes an excellent version. Gimme a good vesper recipe.